easy to make- even for beginners! 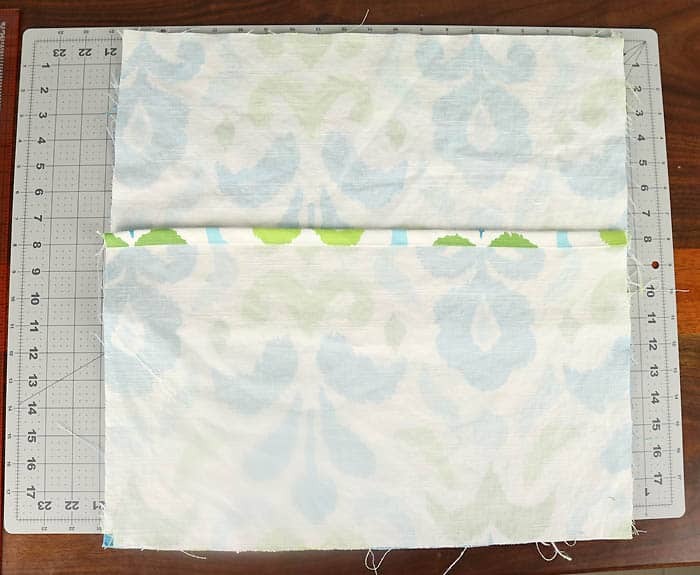 Today I’m going to show you how to sew envelope throw pillows. Envelope pillows have a double flap in the back (rather than a zipper) that allows you to take the pillow insert in and out (for washing). 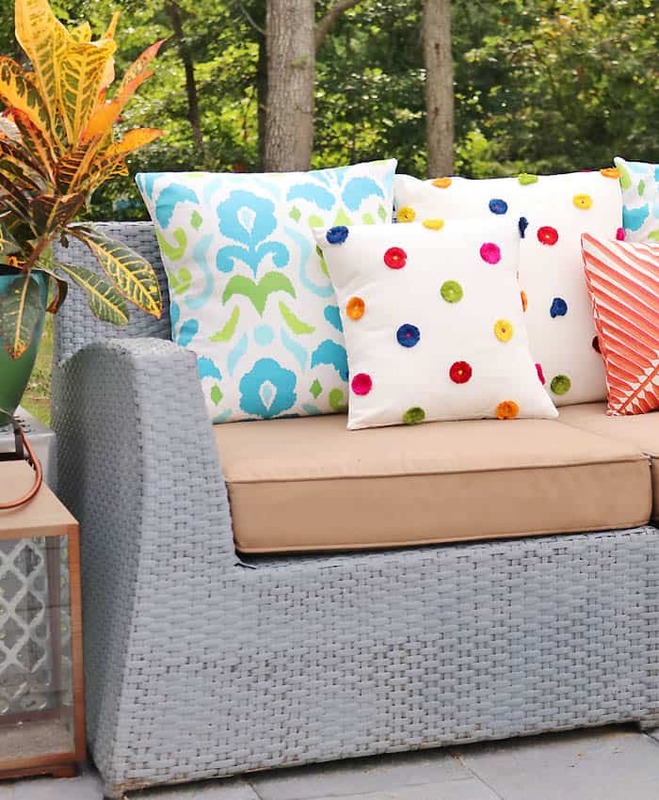 Using upholstery fabric (rather than something like quilting cotton) will give you professional results. Upholstery fabric is heavy, durable and it holds the shape really well! I purchased this upholstery fabric at an estate sale over the summer. They were 1-2 yard remnants from custom upholstery projects…and best of all…there were only a few dollars each! If there’s an upholstery store in your area, you should definitely see if they are willing to see any of their remnants! 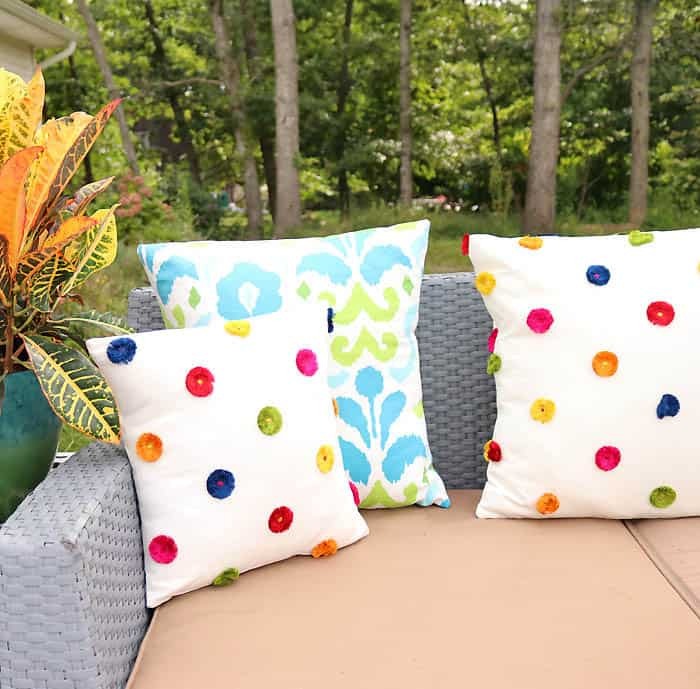 These pillows only take about 15 minutes to make. I know some people prefer pictures and other prefer video for tutorials so I included both mediums for this project. Check out below to see how easy it is to sew a envelope throw pillow! 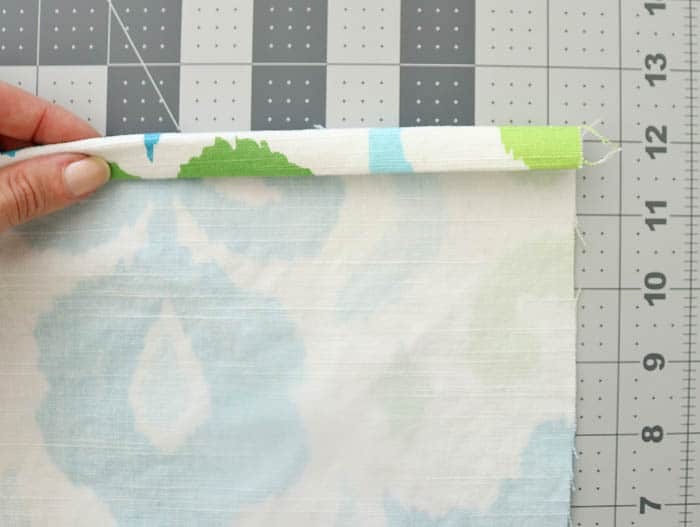 Want another Home Decor Sewing Project? Take the 2 back pieces of the pillow. 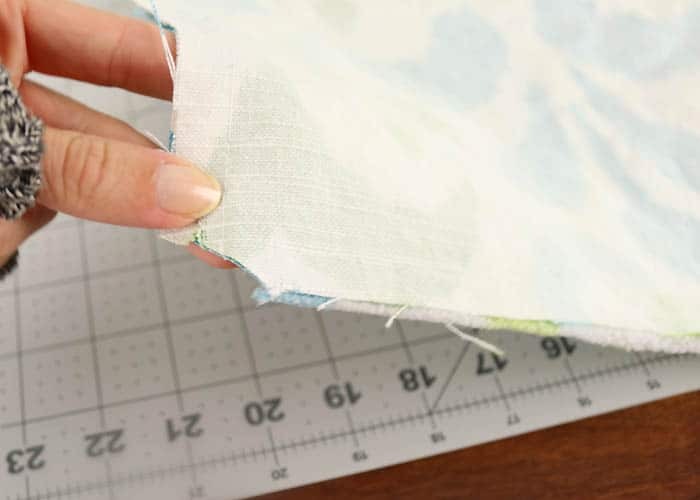 Using an iron, press down the top hem 1/2 inch. Fold it over and press down again. 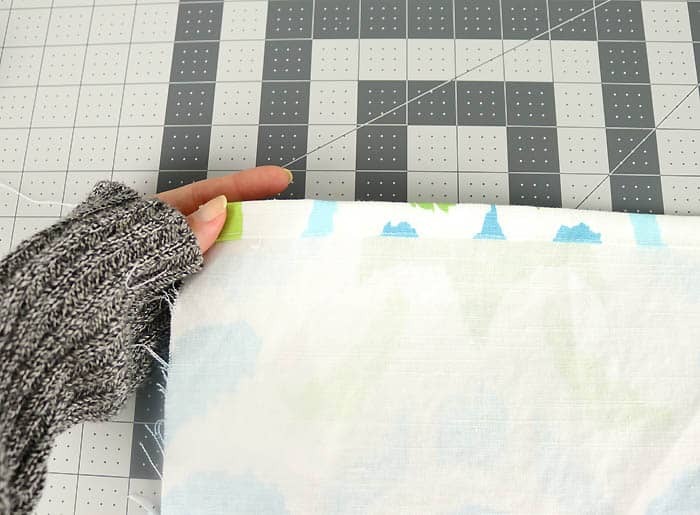 On both pieces, stitch a line across the piece to hold the fold down. Lay the pillow front down, right side up. Place the pillow backs on top, right sides down. Make sure all the sides line up. 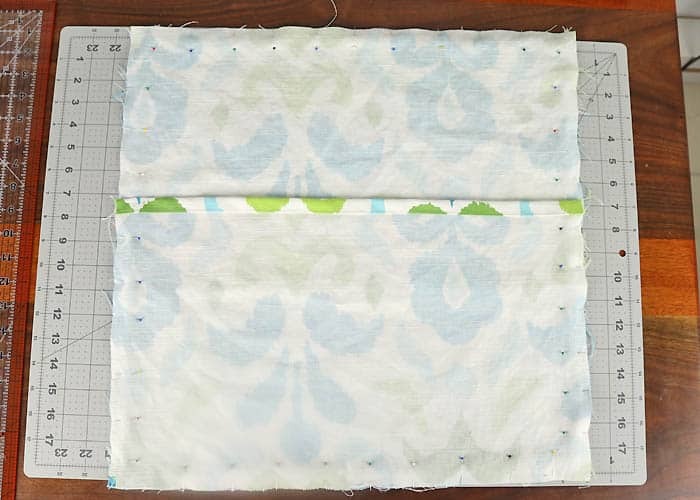 Pin together and sew around all 4 sides. Cut off the edge of all 4 corners, making sure not to cut through the stitching line. This makes the corners look more pointed when you tun the pillow case right side out. Insert the pillow form and that’s it!